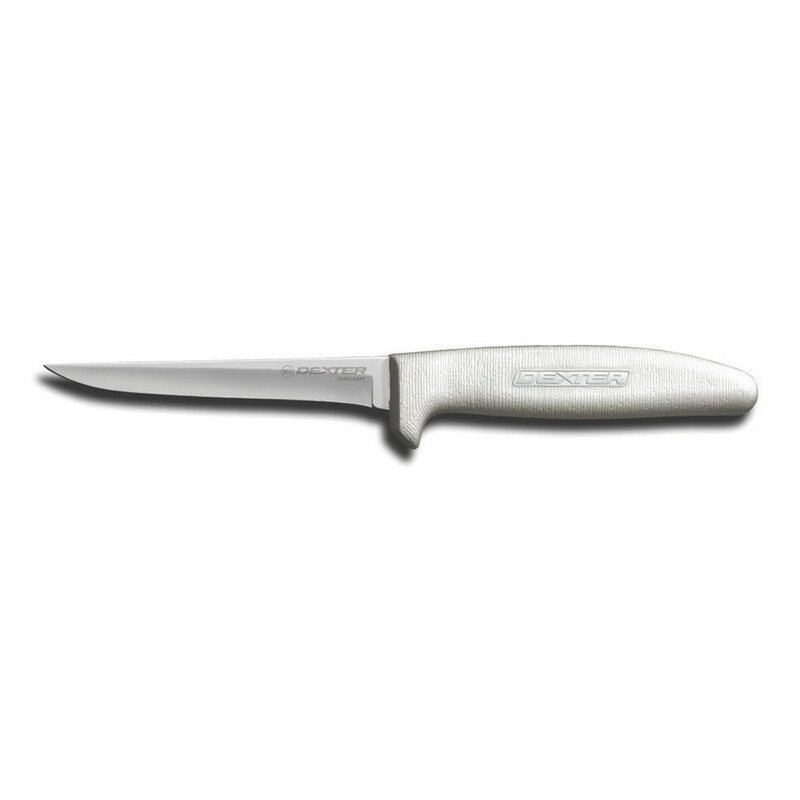 The Dexter S154HG-PCP Sani-Safe® boning knife features a blade crafted from high-carbon DEXSTEEL™. This blade is hollow ground for a fine edge, making it extremely sharp for skinning meats. The easy-to-clean handle is made from textured polypropylene, which is resistant to slippage and can stand up to extreme temperatures. 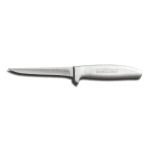 The Dexter S154HG-PCP Sani-Safe boning knife utilizes a sanitary blade-to-handle seal that keeps bacteria and food particles from getting caught between the handle and the blade.